Leadership Jacksonville’s mission is to educate, connect and inspire diverse leaders to build and strengthen their communities. Many times this is done through nonprofit service, but for some this work is done through elected office. 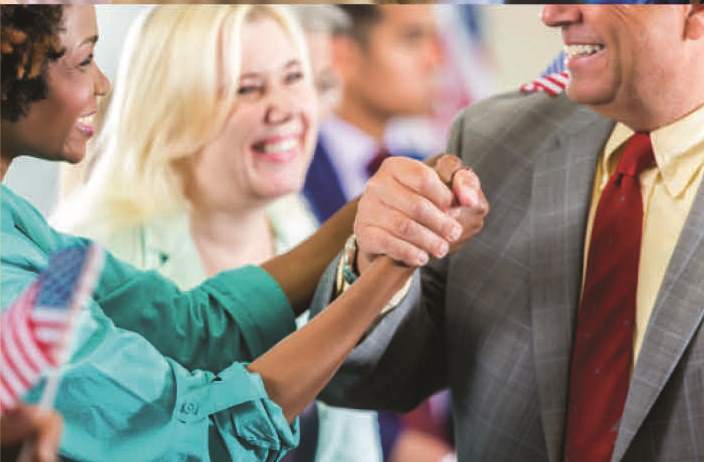 Leadership Jacksonville’s Nonpartisan Political Campaign Seminar is an intensive five-session course providing practical knowledge for those considering entering the political arena. Learn from elected officials, seasoned professionals and experts in a variety of related discliplines and backgrounds. Get the information you need to evaluate crucial decisions to make before running for office and examine how to plan and execute effective political campaigns for local, state or national elected offices. Your Successful Political Career Starts Here. Leadership Jacksonville selects between 10 – 20 applicants for its Spring 2018 political campaign seminar cohort. The interactive small-cohort seminar class utilizes the extensive experience of numerous carefully selected local and state experts and officials. Class sessions examine many aspects of how to plan and execute effective political campaigns, as well as issues involved in ethical public service. The seminar includes five 3.5-hour class sessions each followed by lunch with local elected officials. • Friday April 20, 8:15 a.m. – 11:45 a.m.* Fidelity Investment until 12:30 p.m.
• What will campaign life be like for me and my family? • Do you need polling, and what makes a useful poll?